When we got back on the road, the sky had gone black and the wind had come up. 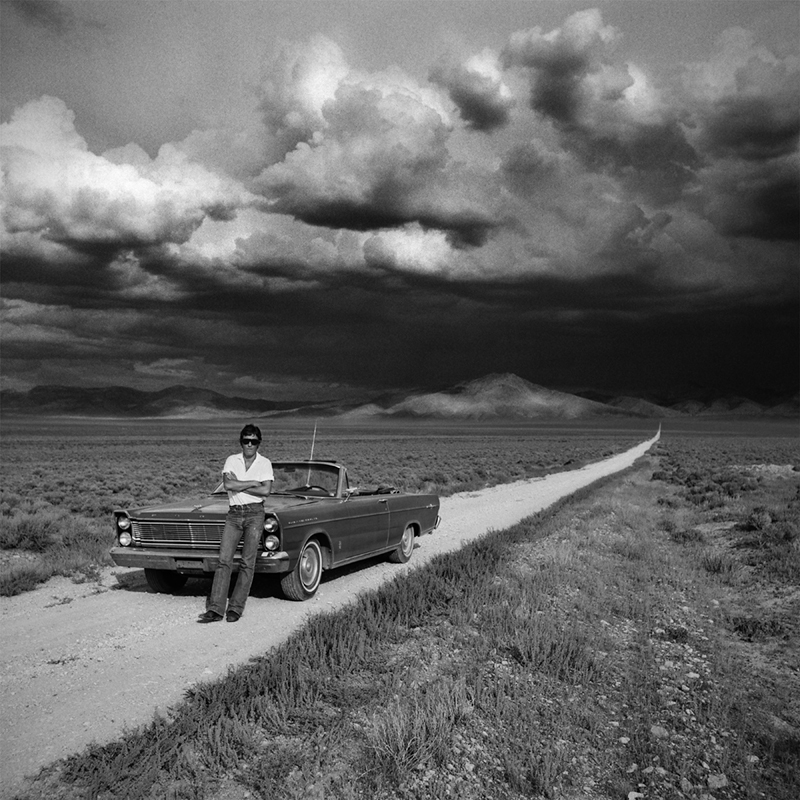 I photographed some more, including a shot of Bruce in front of the car, leaning on the hood—a long, thin, dusty dirt road going off in the distance behind him, disappearing over Battle Mountain. It began to rain and flashes of lightning filled the valley floor. It was one of those moments that stay with you to the grave. There was that strong, fresh smell of ozone after lightning has cleared the air, and the feel of moisture mixed with dry desert wind—something I had felt only once before.